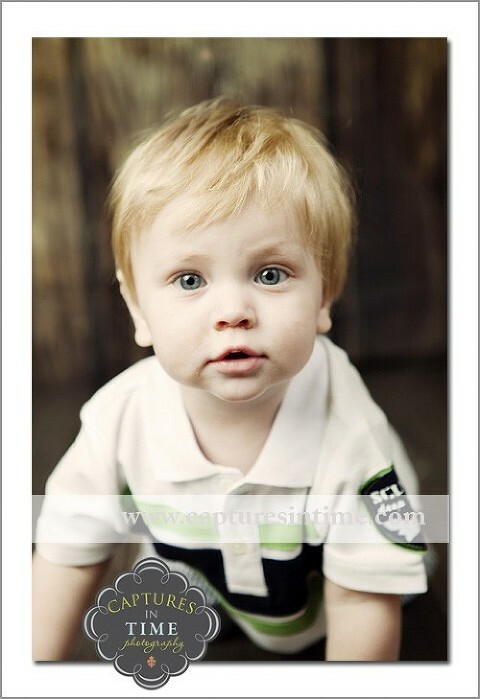 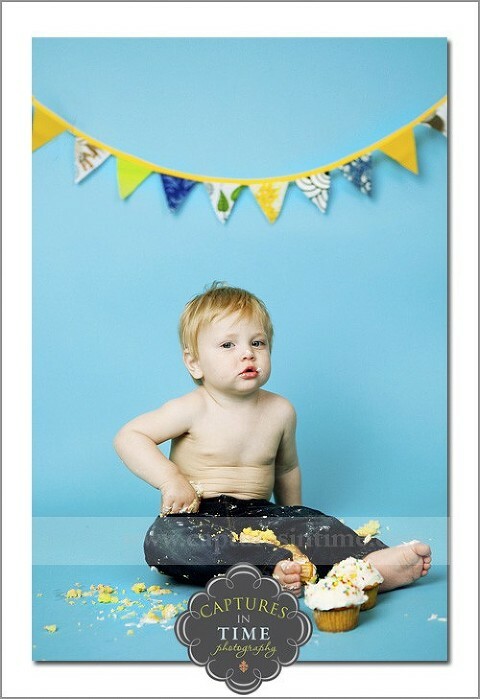 I had the pleasure of taking Hudson’s newborn portraits and also seeing him at 6 months as well. 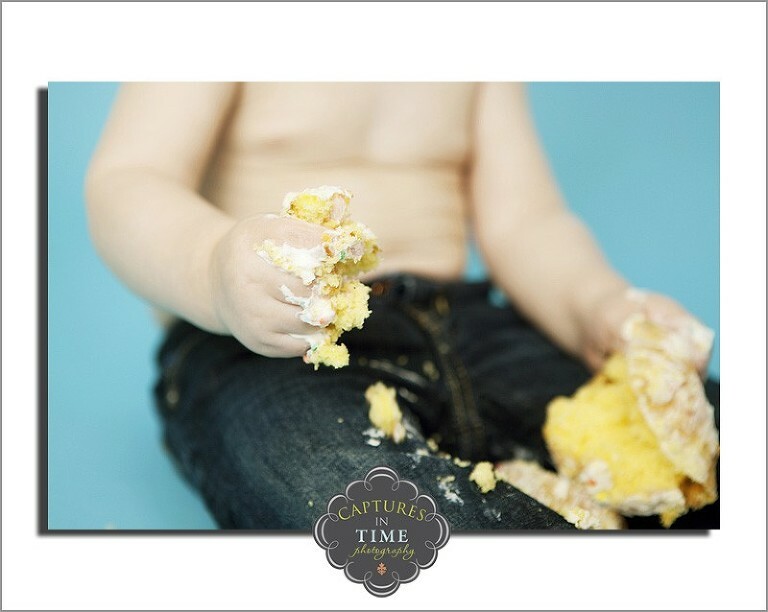 What better way to mark the first birthday than with a smash cupcake session! 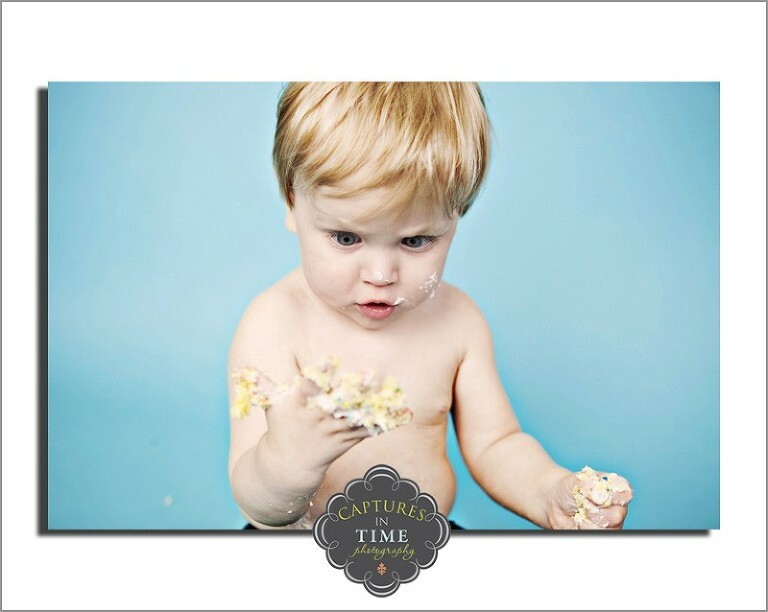 I love how he looks really surprised at the frosting on his hands.